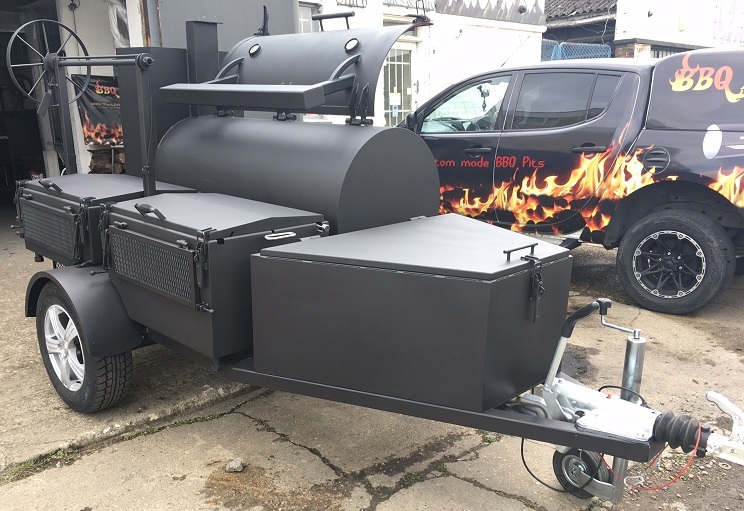 Its a fully loaded BBQ Trailer including Reverse flow Smoker, Warmer/Smoker, Argentine Grill, Chicken Flipper and Storage Box. 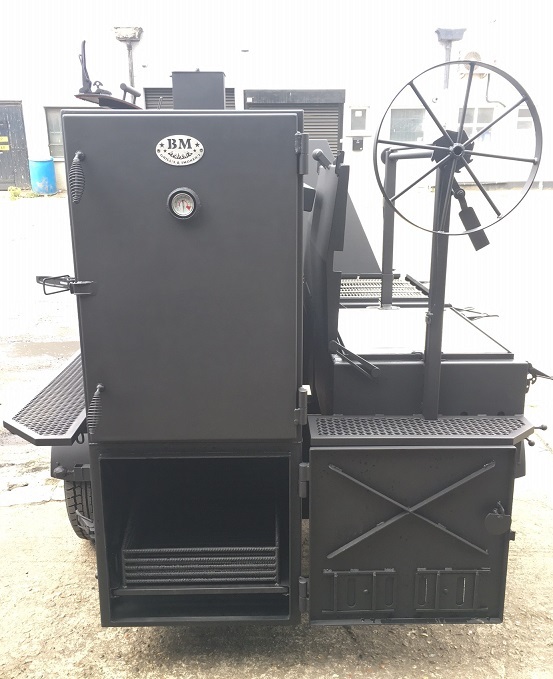 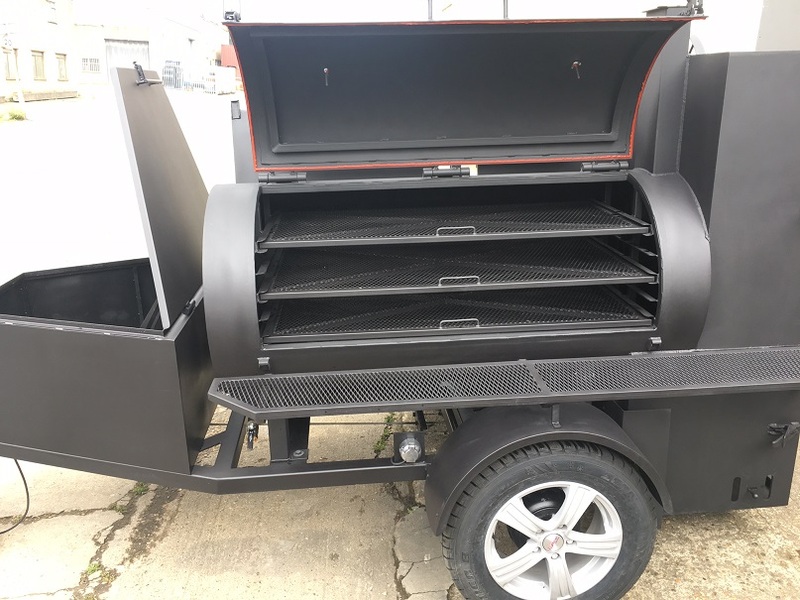 This versatile setup lets you smoke, grill and cook at the same time, it’s really has everything you need for family business to use for private parties, corporate events, music festivals, country shows, BBQ Competitions and even BBQ rental stores. 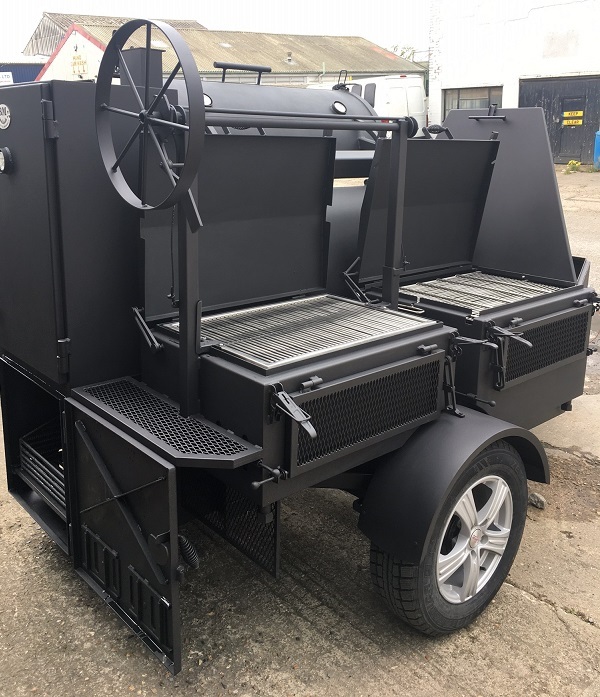 This BM-5 barbecue unit looks smart and sophisticated. 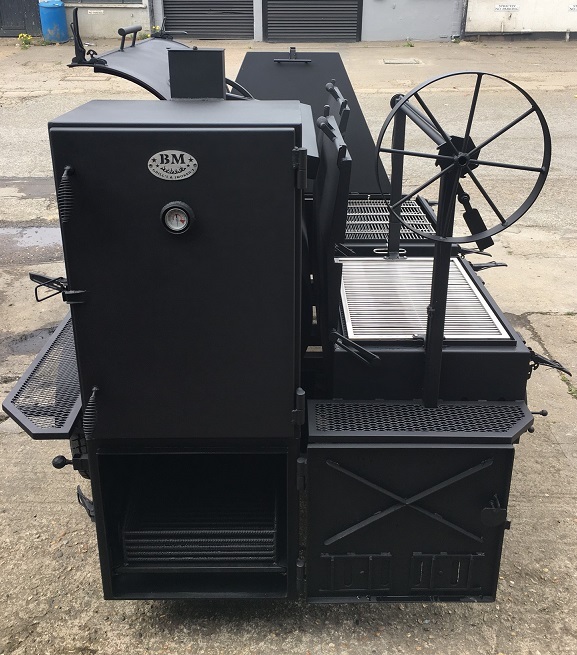 Smoking chamber also includes stainless steel grease tray (drain) and a ball valve tap mounted underneath of the chamber to drain out the grease and fat. 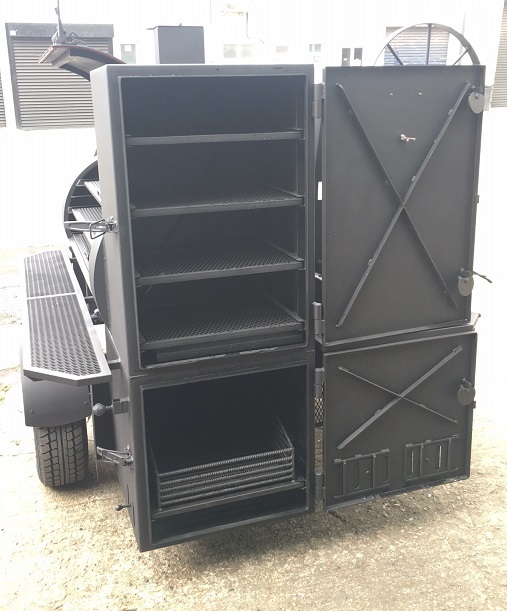 Warmer Dimensions: 61 x 90 x 40cm, (4) food racks : 36 x 53cm (Drip pan included), the warmer also can be used as a smoker. 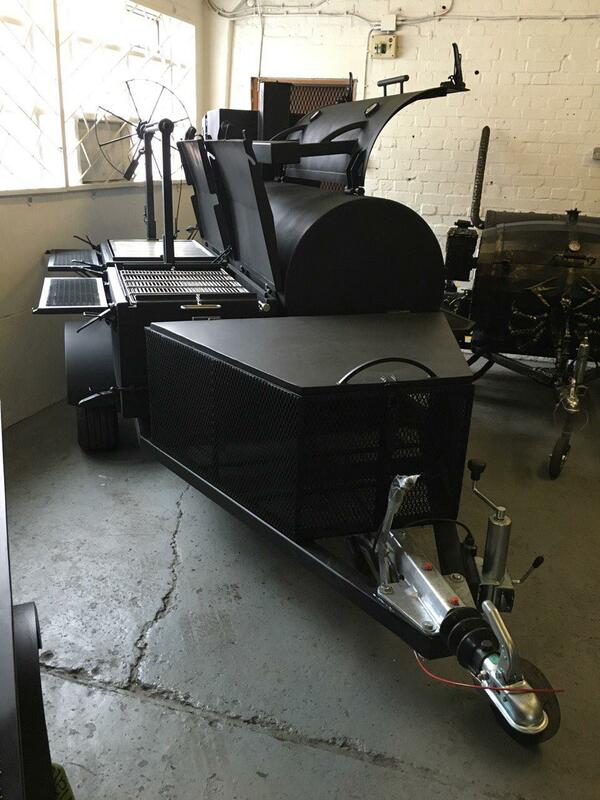 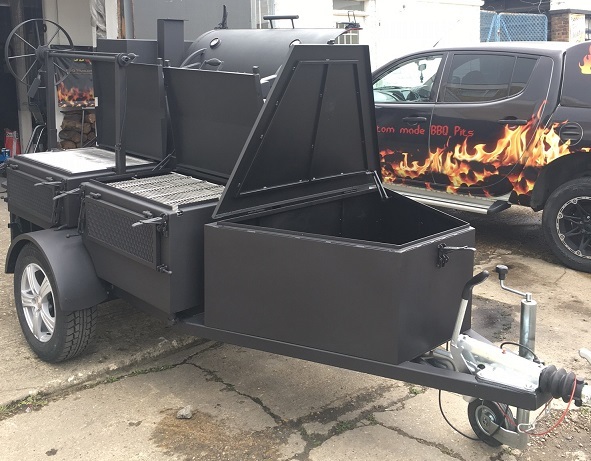 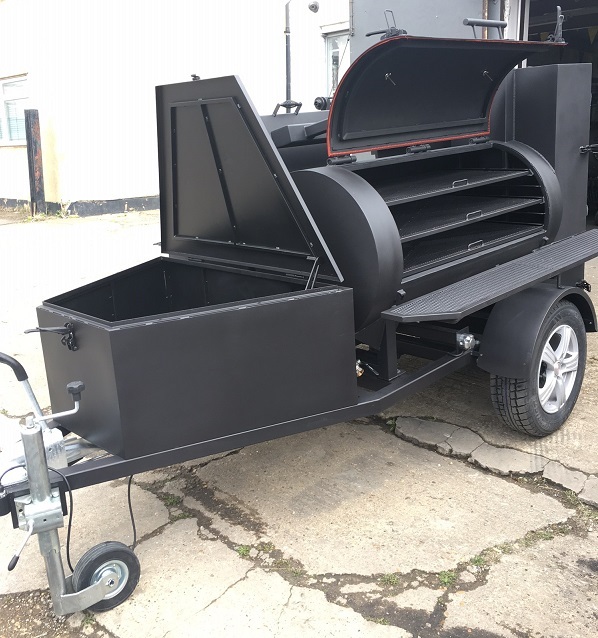 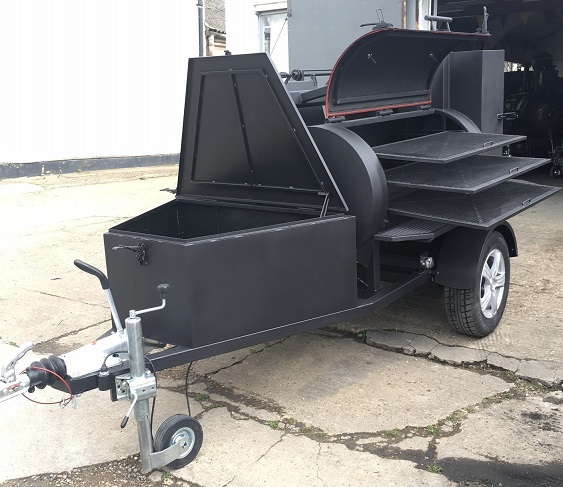 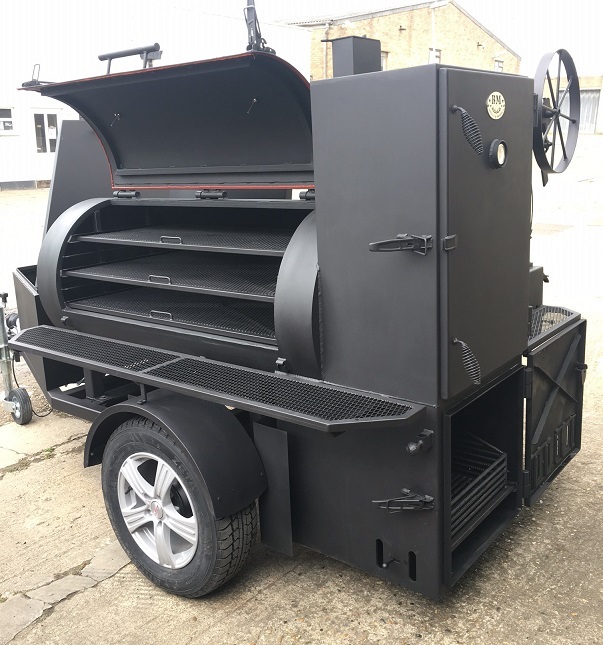 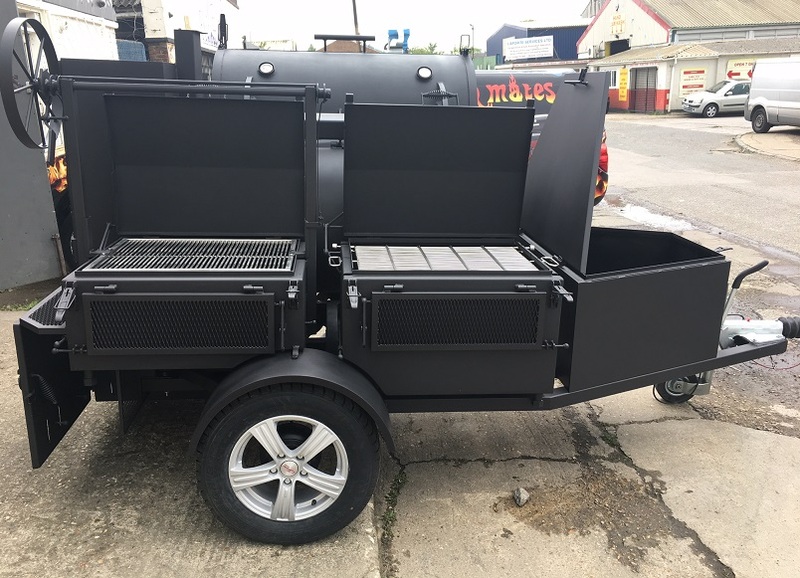 This mobile BM-5 barbecue pit can be towed by most full size cars, vans and trucks.